This is a color image of an Altair 8800 circuit board against a yellow/orange background. 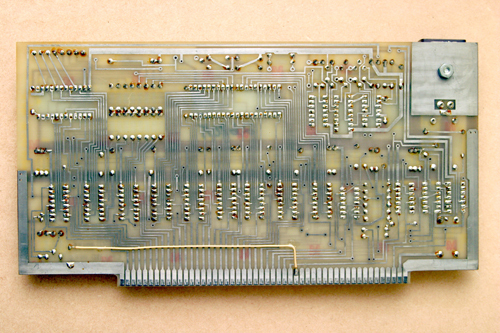 This is a rear view of the board showing only the contact leads/pins and circuit pathways. These are one of many boards that rests inside the computer.